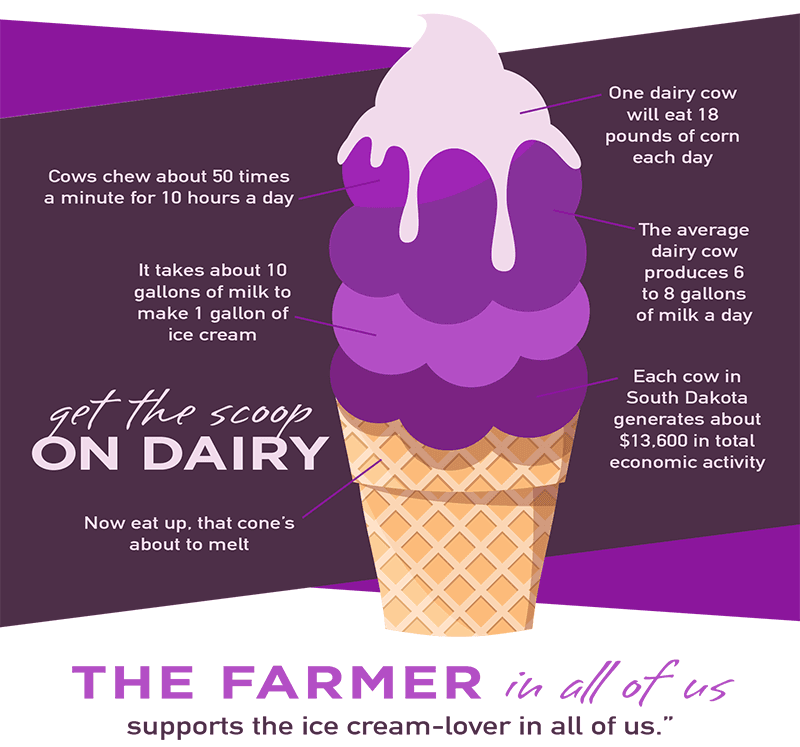 Whether you crave a double scoop of classic vanilla, savor slicing away at a wedge of cheese or just thirst for that cold glass of milk in the morning, all of these are only possible thanks to South Dakota’s dairy farmers and corn producers. 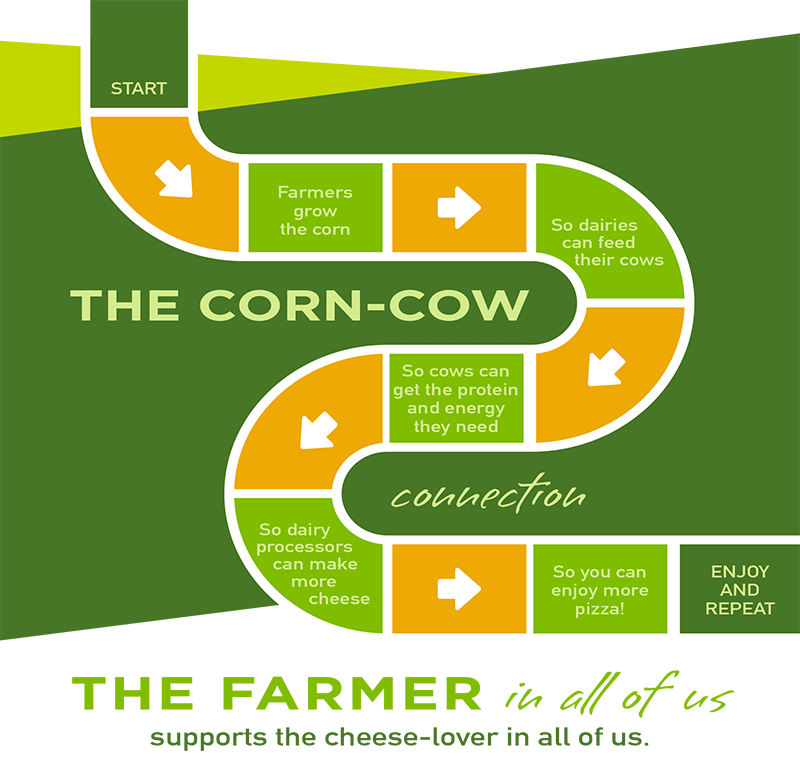 In honor of Dairy Month, here’s the scoop on how dairy impacts South Dakota….and why moo really does mean more. Dairy products are the second leading livestock commodity in the state but dairy production requires feed resources from our corn and other grain producers, creating a better market for our growers. 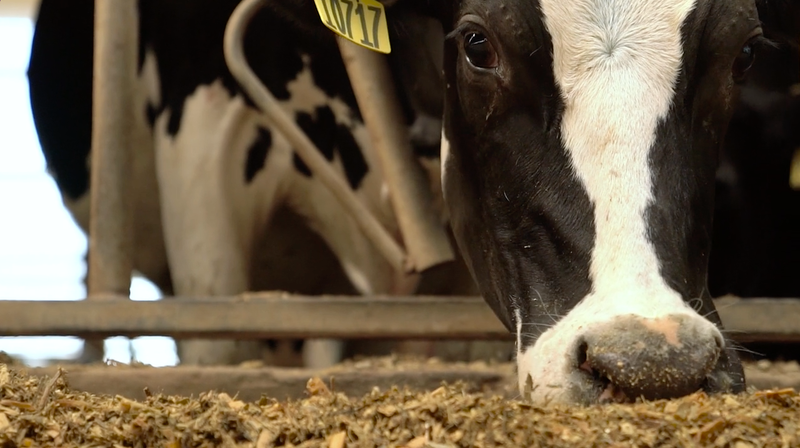 Each year, South Dakota’s dairy cattle consume nearly 337,000 tons of feed. Dairy processing in South Dakota has expanded greatly over the last five years – resulting in ice cream, milk powder, whey blends and that other great treat we all love – cheese! 265 million pounds of cheese a year to be exact. From 2015 to 2016 dairy production in South Dakota grew by 13%, the highest rate of growth in the country. Dairy’s environmental impact is much less than you may think. Large livestock facilities in South Dakota are highly regulated to protect water quality and environmental impact. To obtain state permits, producers must present engineering plans, including manure management and attend training workshops to clarify all necessary regulations. A smaller environmental footprint, still means a big economic impact. 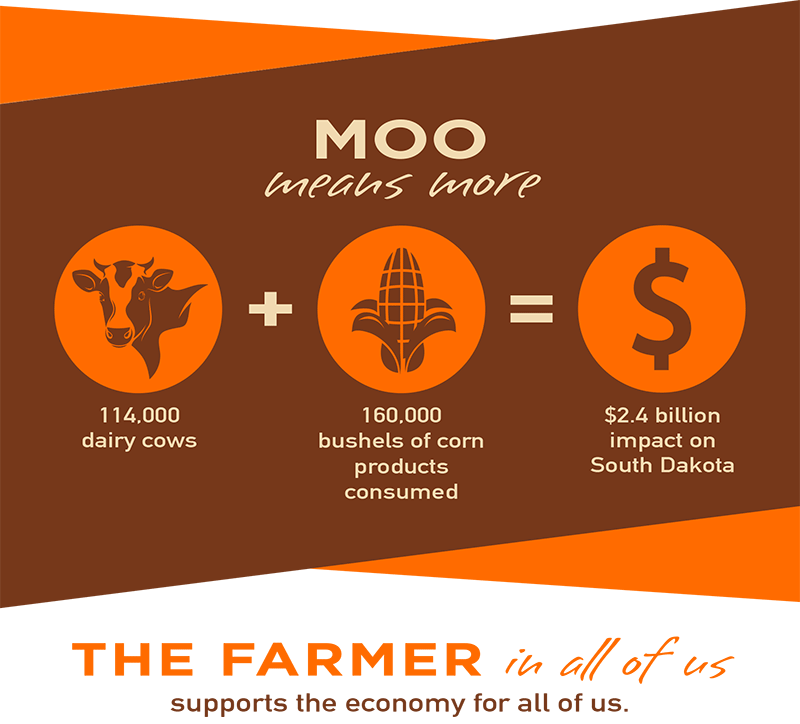 So whether you support dairy in your operation or your grocery cart, remember, moo really does mean more for South Dakota.